In a state with over 14 million registered cars, it’s easy to assume that driving is a skill perfected by California traffic school online graduates. The average CA driver will experience their fair share of roadside tribulations in their lifetime. This endows them with a wealth of knowledge to withstand any difficult, car-related disaster. That’s why we’re pulling back the curtain and revealing the best kept secrets in California driving. There’s no better way to avoid a speeding ticket than by driving the speed limit. Doing so will help you avoid road collisions. It may seem obvious, but, judging the number of people who do it, traveling the speed limit is apparently one of the best-kept secrets in California. Watching your blind spot helps you avoid a collision when switching lanes. Drivers sneak-up on you. The best way to avoid this from happening is to check your blind spots before merging lanes. You don’t want people to think you’re mentally blind. In the state of California, using your phone is illegal while driving. However, don’t let that stop you from failing at navigating with your phone’s GPS like the rest of us. To use a phone while driving, use the Bluetooth feature, while your phone is docked to the dashboard or windshield of your car. You must keep your hands off your phone, despite that desire to chuck it out a window. In the summer, the desert side of California starts to show. Cities and rural areas experience high heat and harsh sunlight. If you don’t want to barricade inside your house, taking traffic school online all summer, there’s an easy solution. Packing water will keep you cool and refreshed in case your car breaks down or overheats. It’s also helpful when you’re a little parched. California is notorious for its incomprehensibly convoluted parking signs. Certain areas of the state require extraneous circumstances for you to park. Paying attention to signs is a beneficial way to avoid expensive citations. To park in California, you need a PhD. in English. California’s rocky environment and salty ocean fronts can leave tear on the infrastructure of your car. This means bumpy roads, constant construction, and deep potholes. Maintain your brakes and suspension otherwise you’ll have a suspenseful drive. 3-lanes of traffic doesn’t mean you get to pass people in the right lane. Road etiquette has no meaning when nobody follows it. The left lane is used for passing, the middle is for cruising, and the right is for exiting. Momentum is important when you’re in a heavy traffic area. Keeping a steady flow helps ease everyone out of congested highways and roads. 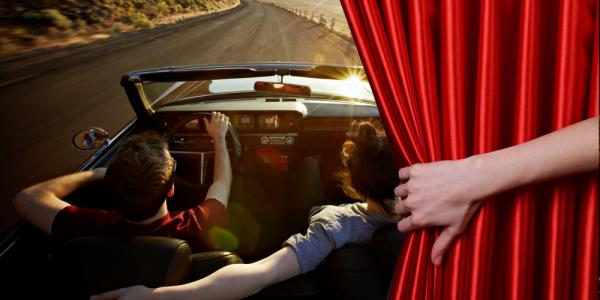 The secret to keeping the momentum is giving other cars plenty of space as you cruise through the traffic – just like every healthy relationship. A light drizzle causes destruction and mayhem. At least that’s how some overdramatic drivers react to rain. The best way to prepare for rainy days is by keeping your headlights on, driving the speed limit, and giving others room while driving. Getting heated behind the wheel is easy. Drivers are, at times, reckless to a point you would think it’s intentional. With so much traffic, there’s no space for irrational driving. Save the heat for those summer days and stay cool while driving.